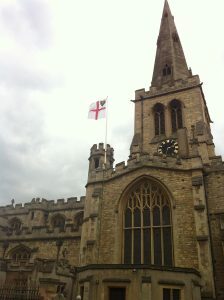 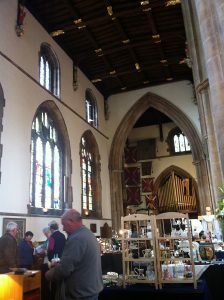 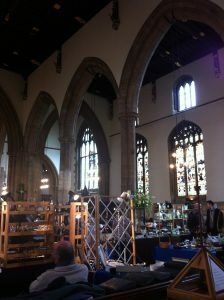 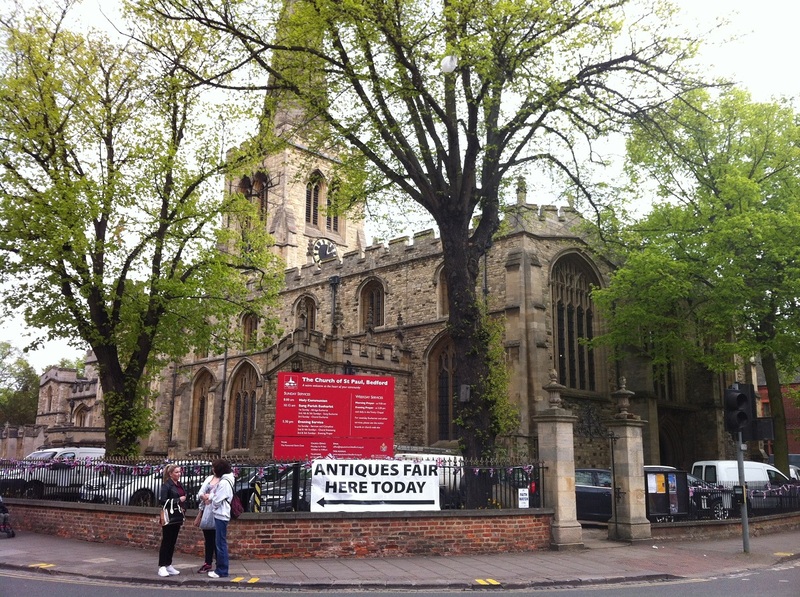 Last weekend I went to Bedford and visited the Bedfordshire’s Antiques & Collectors Fair at the St Paul’s Church. 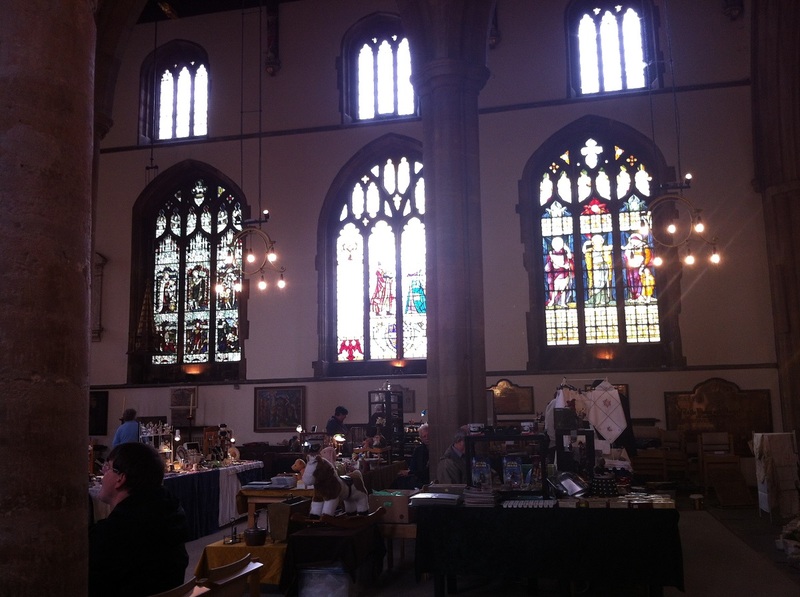 I would say that it is like an indoor flea market. 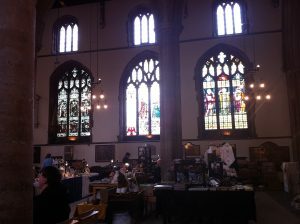 There are many curiosity items, mainly vintage, but not so many antiques (i.e. 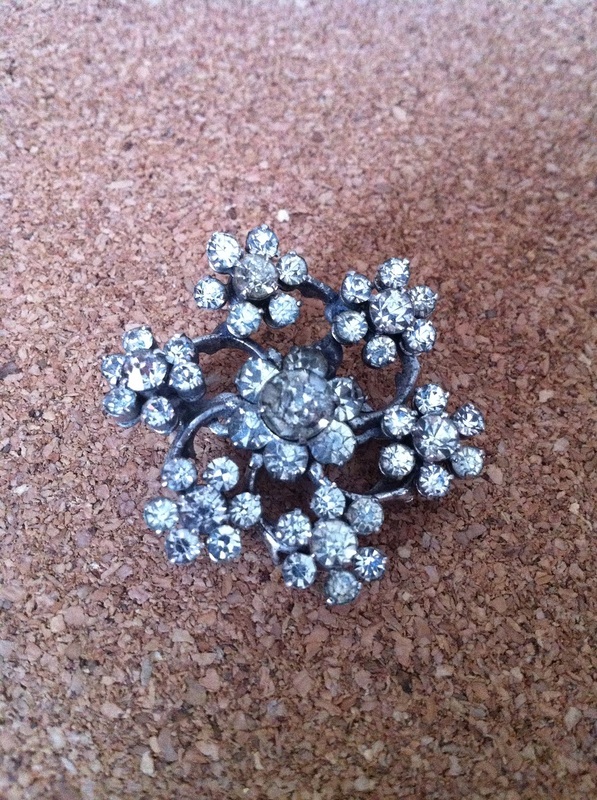 very old) items. I very much like the place where this antiques fair is. 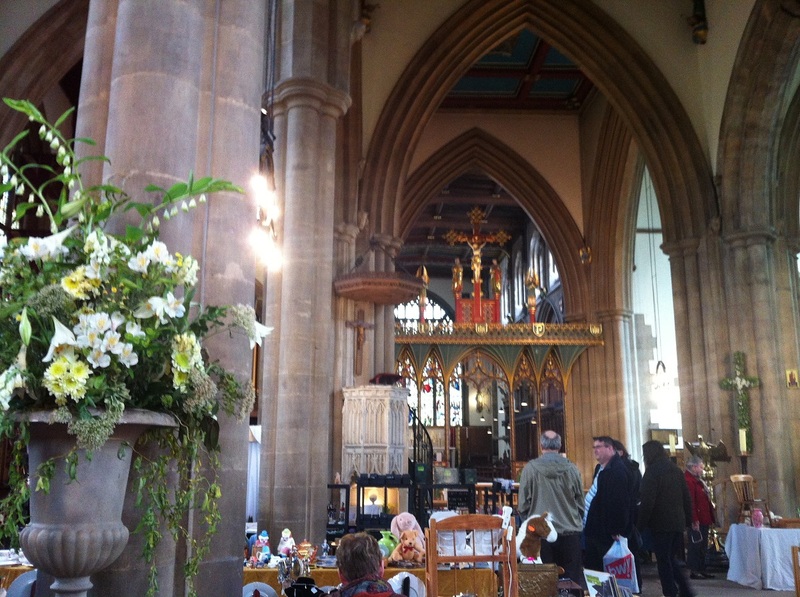 It is taking place in a really beautiful church. 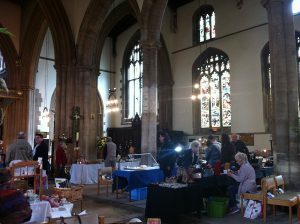 I would say there are about 40-50 stalls. 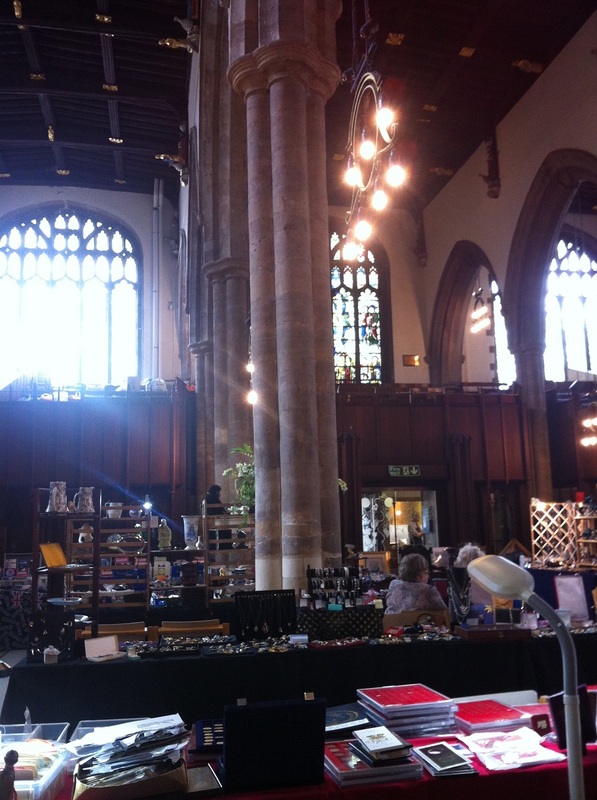 One stall sells coins and some stalls sell brooches. There is an entrance fee of £1 and the fair helps to raise good causes. 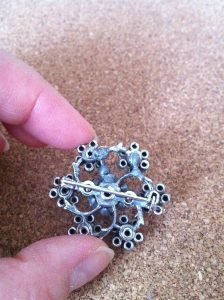 I found a nice brooch from the fair. 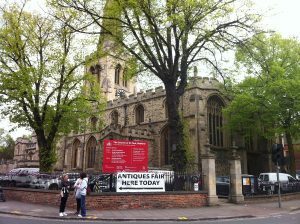 I don’t think it is old to be called antique. 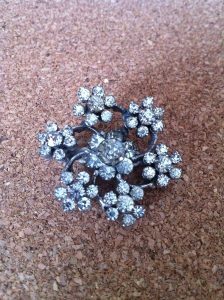 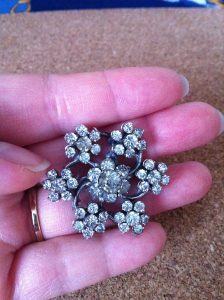 I would say that it is a vintage brooch.